Of all the areas that QuickBooks® for Mac consultants struggle with, finding and fixing sales tax errors is one of the toughest because we can’t get the detailed reports our Windows’ counterparts have access to within the software. Some of us – determined to track down those nagging discrepancies – turn to “round-tripping” (converting the file from Mac to Windows and back to Mac) only to find the data scrambled in the process. For others, the conversion to QuickBooks for Windows is successful and provides reports not available in QuickBooks for Mac, but finding the problem provides little relief if fixing it in Windows or Mac is not an option. Here, we have provided a step-by-step guide for finding sales tax errors and our advice for fixing them. 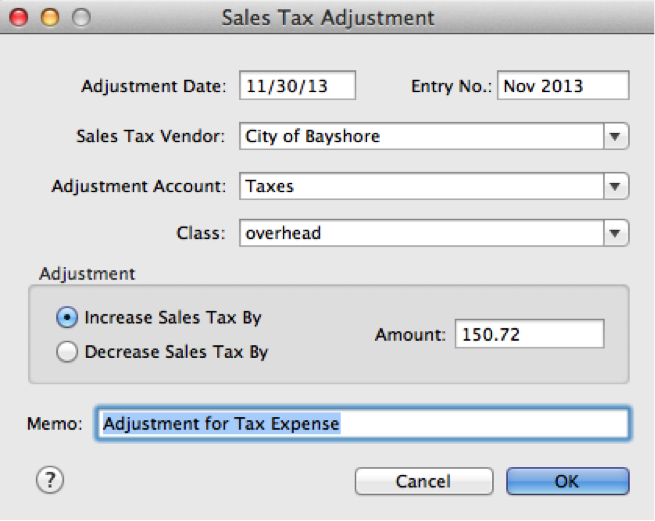 Spoiler alert: starting with QuickBooks Mac 2014, you can use the same “Adjust Sales Tax Due” feature that’s been available in Windows for years. Start by creating both a Sales Tax Liability and a Profit and Loss report. The Total Income on both of these reports should the same. If they aren’t the same, make sure the dates and the reporting basis on the Profit and Loss report matches that of the Sales Tax Liability report. If the reporting basis or the dates are not the reason your Profit and Loss does not match your Sales Tax Liability report, create another Profit and Loss report and filter it for income transactions and compare it to the unfiltered Profit and Loss report. Any differences will point you to the errors on the Sales Tax Liability. EXPERT TIP: The date on the Receive Payment, not the date on the Make Deposit or the Invoice, is the date that the sales tax liability will be impacted on cash basis. Partial payments are applied to sales tax in equal proportion to other Items on the Invoice. 1. Click the “Filters” icon at the top left of the report Toolbar. 2. 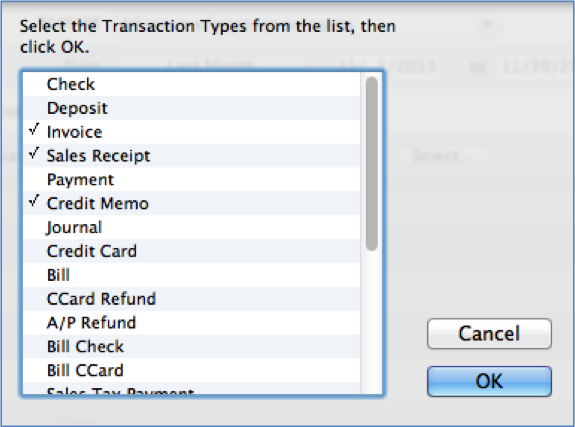 Choose the filter “Transaction Type” near the bottom of the Filter options to engage the Transaction Type filter. 3. Choose “Selected Transaction Types”, and then chose Invoice; Sales Receipt; and Credit Memo. 4. Click “OK” to complete the Filter settings. Click “Apply” in the next window to create the filtered report. 5. 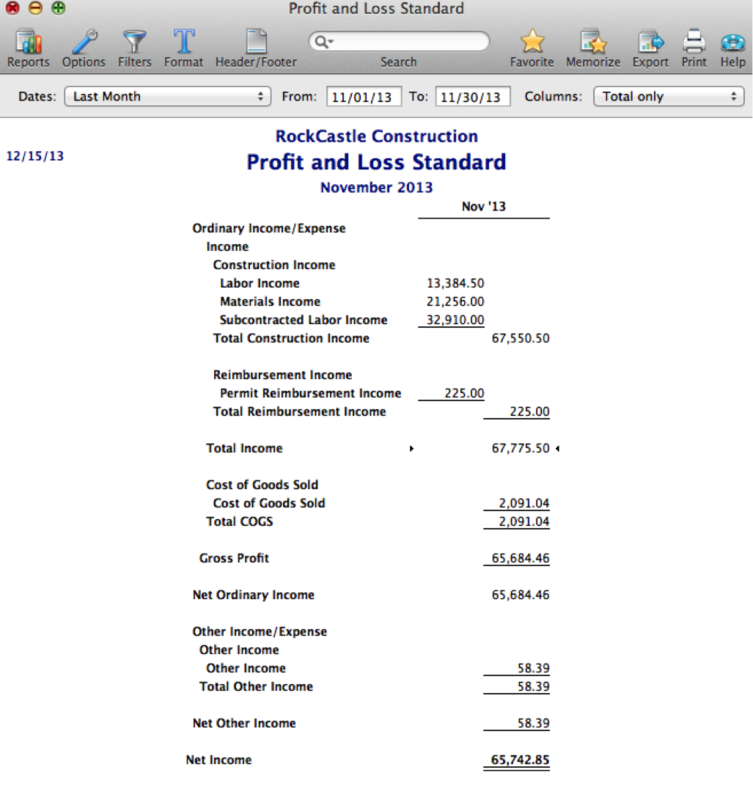 Now, compare the Total Income on the filtered Profit and Loss report to the unfiltered report. Any differences will point you to the errors on the Sales Tax Liability, except Cost of Goods Sold. 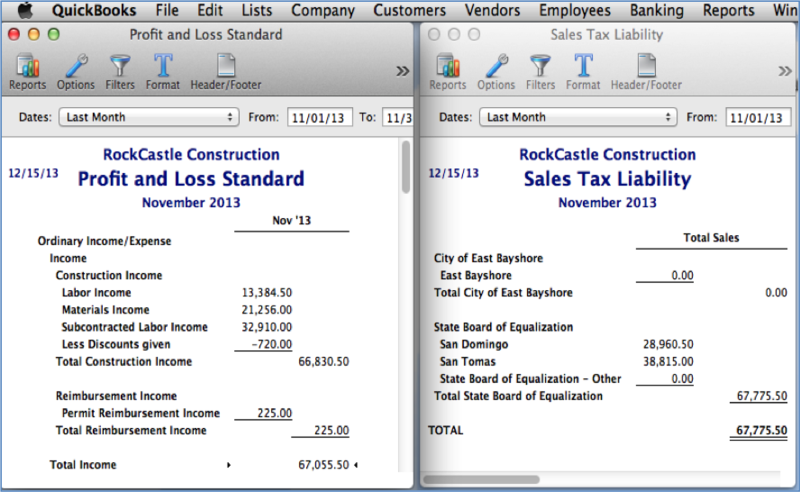 In this example, “Less Discounts Given” (-$720.00) and Other Income ($58.39) are not on the Sales Tax Liability report. What to know: Sales Discounts applied during Receive Payments and Items mapped to Other Income Accounts and Balance Sheet accounts, will not be included in the Total Sales on the Sales Tax Liability report. What to do about it: Create a Credit Memo for sales discounts instead of using Receive Payments. Map sales Items to Income, and not Other Income, accounts. If your client pays sales tax on deposits/pre-payments and tracks them as a liability, use the Sales by Item Detail report in addition to the Profit and Loss report. 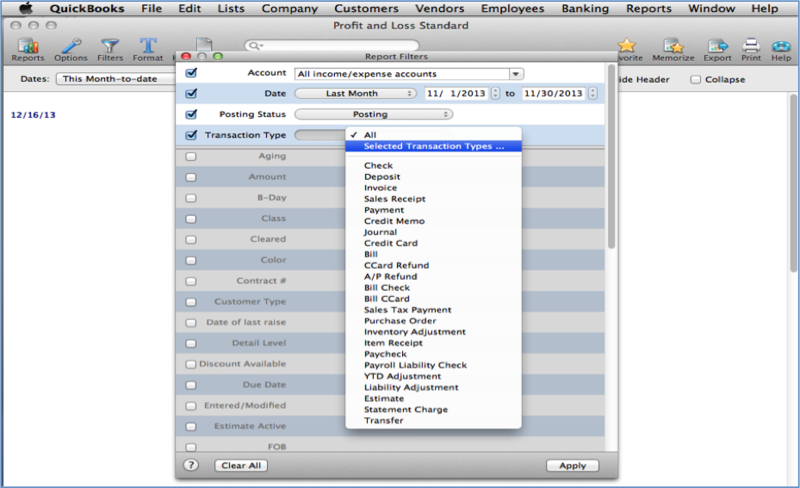 EXPERT TIP: In QuickBooks Mac 2014 and above, the “Pay Sales Tax” function allows the user to select a credit card account to make sales tax payments. Prior versions only allowed for sales tax payments from bank accounts.